Melanoma patients whose tumors are surgically removed experience a very high rate of recurrence. Until recently, adjuvant treatments to prevent recurrences were limited to the drug interferon alpha-2B and, more recently, ipilimumab (brand name Yervoy), an anti-CTLA-4 immune checkpoint drug approved by the U.S. Food and Drug Administration (FAD) for adjuvant treatment in 2015. Interferon treatment is extremely harsh, with many adverse effects, and is not often used anymore. Yervoy is often associated with autoimmune side effects, which are sometimes quite serious. Enter nivolumab (Opdivo) the anti-PD-1 checkpoint drug approved by the FDA to treat metastatic melanoma and other cancers. A clinical trial showed that the recurrence-free survival (RFS) rate at 18 months with nivolumab was 66.4% compared to 52.7% for ipilimumab (Yervoy) in patients with resected stage IIIB/C or IV melanoma. This amounts to a 35% reduction in the risk of recurrence or death with the PD-1 inhibitor versus the CTLA-4 inhibitor. Not the least important factor is the much lower rate of side effects seen with nivolumab compared to ipilimumab. Nivolumab is now approved by the FDA as an adjuvant treatment after surgical resection of melanoma. Pembrolizumab, a competing anti-PD-1 drug, also showed encouraging results in a randomized trial for stage III melanoma. The stakes in this trial were lower, since the control arm received a placebo (not ipilimumab!). Risk reduction was 43%, according to preliminary results of the trial. For patients with BRAF-mutant stage III melanoma, adjuvant treatment with the BRAF/MEK inhibitors dabrafenib and trametinib was just recently granted a priority review by the FDA, signaling a likely approval soon. Recurrence-free 3-year survival was 58% for the combination versus 39% for placebo. 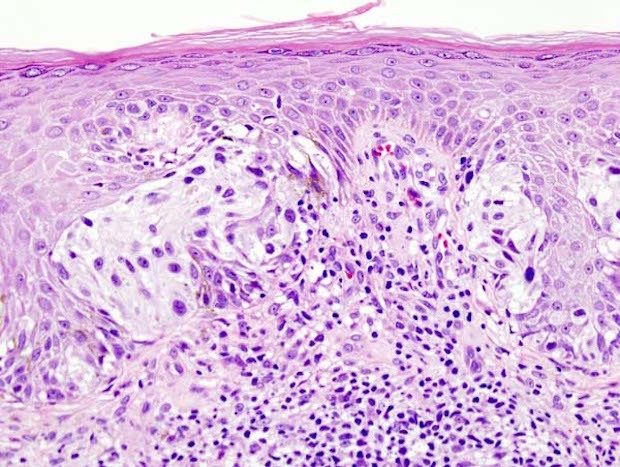 A Knowledge Blog post from last summer described new combination treatments for metastatic melanoma. There have been significant developments since then. Several trials combined PD-1 blockers (pembrolizumab or nivolumab) with small molecules known as IDO inhibitors. The latter help shut down the activity of immune system cells known as regulatory T cells (T regs), which dampen the immune response triggered by anti-PD-1 drugs. Combination of pembrolizumab with the IDO inhibitor epacadostat increased the rate of responses to pembrolizumab from 32% to 56%. This is very comparable to the response rate seen with the FDA-approved combination of nivolumab and ipilimumab. However, the significant toxicities seen with addition of ipilimumab are not observed when IDO inhibitors are added. Several other competing IDO inhibitors are currently in trials with both pembrolizumab and nivolumab. Importantly, there is also hope that these drug combinations may abolish resistance to PD-1 blockers in previously treated melanoma patients. Another promising combination has been tested in a small clinical trial of nivolumab with NKTR-214, a specifically modified form of the protein IL-2, which is a strong activator of the immune system. High-dose IL-2 is a drug that has long been approved for metastatic melanoma but is rarely used because of the extremely serious adverse effects. NKTR-214 is a modified (PEGylated) IL-2 that has much reduced side effects, and does not activate inhibitory T regs. Clinical trial results have been released for 11 melanoma patients treated with the combination. Of the patients enrolled, 73% have experienced objective responses, which is obviously much higher than what is seen with nivolumab alone. This trial is now enrolling patients who have or have not already been treated with immune drugs. Patients who were treated with anti-PD-1 drugs and experience progression may consider enrolling in trials that add relatlimab (an anti-LAG3 immune drug) to nivolumab. In a trial that enrolled heavily pretreated patients who failed on previous treatment with anti-PD-1 drugs, the rate of response was 11.5%, but many more patients (38%) have achieved stable disease. The presence of LAG3 protein (but not PD-L1 protein) in the tumors was predictive of response. There are other new drugs to watch. TLR9 agonists (activators) have shown early promising results in melanoma. TLR is a group of receptors that are strongly involved in innate immunity. A recent publication showed that intratumoral injection of a TLR9 activator with an antibody to OX40 (a protein on T cells) has extraordinary activity in a mouse cancer model. Trials that combine anti-OX40 and TLR9 agonists are forthcoming. However, two TLR9 agonists, SD-101 and IMO-2125, have shown very promising results in combination with anti-PD-1 or anti-CTLA4 drugs. The other drug with early promise is ImmunoPulse IL-12 (pIL-12). In combination with pembrolizumab, it induced responses in 43% of patients who had not been previously treated with immune drugs. The important point is that patients in this trial were specifically selected to have a tumor profile that is associated with lack of response to pembrolizumab. pIL-12 is injected into tumors, so this intervention is appropriate for patients who have injectable tumors. New BRAF/MEK inhibitors for melanoma have emerged: encorafenib and binimetinib produced a 3-year overall survival rate that is twice as high as seen with vemurafenib, a BRAF inhibitor. The comparison is not exactly meaningful because vemurafenib is not used as a single drug in BRAF-mutant melanoma these days, but this phase III trial was initiated back in 2013, prior to the approval of other BRAF/MEK combinations. The new combination may be approved mid-2018. The triplet combinations for BRAF-mutant melanoma should be mentioned (immune plus targeted drugs). A trial that combined dabrafenib and trametinib with pembrolizumab reported early success, with a confirmed response rate of 67% in 15 patients who received the combination. “Immunotherapy has led a transformation for melanoma care but combinations of anti–PD-1 and CTLA-4 agents are toxic and biomarkers are not available to help personalized treatment, calling for further research into less toxic and more effective options, according to a presentation by Caroline Robert, MD, PhD, at the 2017 World Congress of Melanoma. If you’re wondering whether this story applies to your own cancer case or a loved one’s, we invite you to use our ASK Cancer Commons service. “Whether a melanoma patient will better respond to a single immunotherapy drug or two in combination depends on the abundance of certain white blood cells within their tumors, according to a new study conducted by UC San Francisco researchers joined by physicians from UCSF Health. The findings provide a novel predictive biomarker to identify patients who are most likely to respond well to a combination of immunotherapy drugs known as checkpoint inhibitors—and to protect those who won’t respond from potentially adverse side effects of combination treatment. “Bristol-Myers got a much-needed boost with the earlier-than-expected news that Opdivo beat out Yervoy in a Phase III study focused on a particular niche for adjuvant melanoma therapy. And an analyst who’s been following the data says it could be worth a billion dollars in added annual sales. “Bristol-Myers Squibb (BMS) and AstraZeneca have each announced separate delays in the development of PD-1 and CTLA-4 inhibitor combinations as first-line therapies for patients with advanced or metastatic non–small cell lung cancer (NSCLC), according to statements from each of the companies. “With the development of novel targeted and immunotherapeutic agents that are more efficacious than traditional chemotherapy, treatment paradigms in melanoma have undergone major changes. Current recommendations for first-line systemic therapy for patients with advanced or metastatic melanoma consider BRAF mutation status, tumor growth rate, and the presence or absence of cancer-related symptoms. “Despite its initial running start, the continuing development of immunotherapies in the field of non-small cell lung cancer (NSCLC) won’t be slowing down anytime soon, according to Naiyer Rizvi, MD.